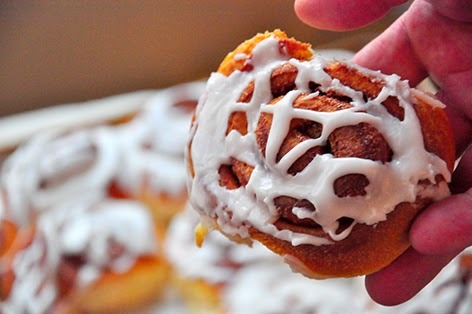 Somethings just bring back memories...Cinnamon buns remind me of the time we went to Atlantic City. My mom, dad and me. I remember Mr Peanut Man on the boardwalk and how I looked forward to shaking his hand every day. 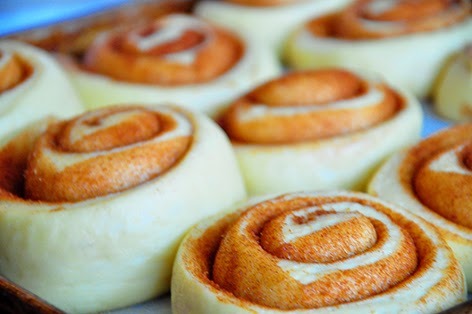 And then there were the cinnamon buns. Maybe it was my first experience with buying freshly baked cinnamon buns and also the fact that I was allowed to run to the corner on my own to pick them up. Probably kids 6 or 7 years old wouldn't be allowed these days... I remember the door man at the hotel calling my name in a very southern drawl Penna soooooo (yes my name is really Penny-Sue) And always bringing him back a cinnamon bun. He probably didn't realize it was the highlight of my day - and a lasting memory. 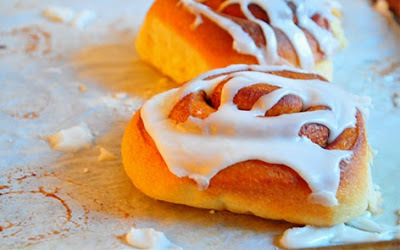 Here is a recipe for sinful cinnamon buns...very yummy! It is from one of my favourite bread baking books The Bread Baker's Apprentice by Peter Reinhart. 2- Whip in the egg and the lemon extract until smooth. 3- Then add the flour, yeast and milk. 4- Mix on low speed until the dough forms a ball. 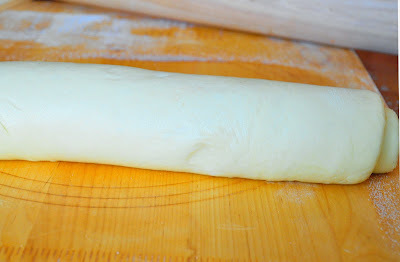 5- Switch to the dough hook and increase the speed to medium, mixing for approximately 10 minutes or until the dough is silky and supple, tacky but not sticky. You may have to add a little flour or water while mixing to achieve this texture. 7- Lightly oil a large bowl and transfer the dough to the bowl rolling it around to coat it with oil. 8- Cover the bowl with plastic wrap to ferment at room temperature for approximately two hours or until the double doubles in size. 9- Mist the counter with spray oil and transfer the dough to the counter. 10- Line one or more pans with baking parchment. 10- Roll out the dough with a rolling pin, lightly dusting the top of the dough with flour to keep it from sticking to the pin. Roll into a rectangle about 2/3 inch thick -14 inches wide by 12 inches long for larger buns or 18 inches wide by 9 inches long for smaller buns. Don't roll the dough too thin or the finished buns will be tough and chewy rather than soft and plump. 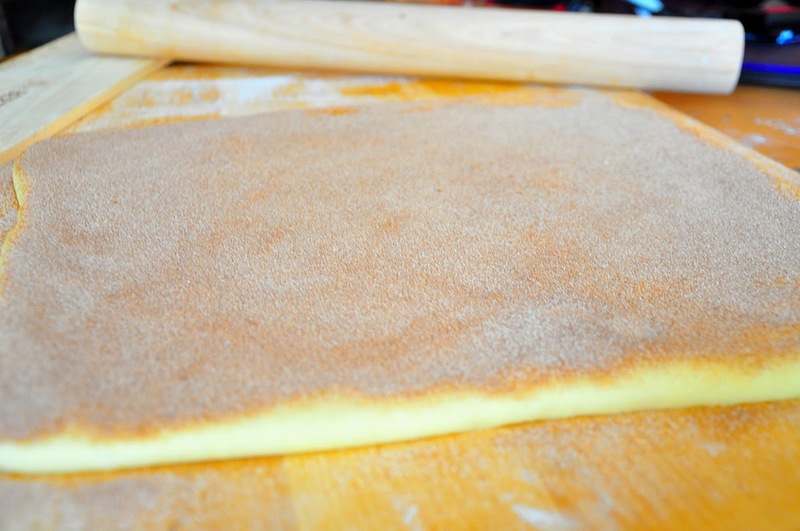 11- Sprinkle the cinnamon sugar over the surface of the dough and roll the dough up into a cigar shaped log creating a cinnamon sugar spiral as you roll. 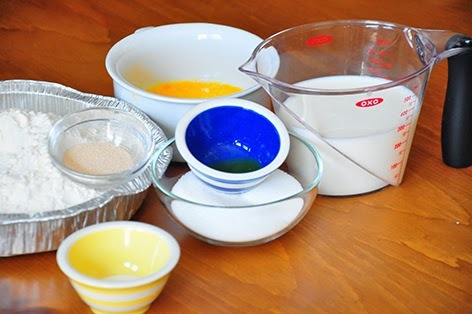 12-With the seam side down cut the dough into 8 to 12 even pieces- about one and three-quarter inches thick for larger buns, or 12 to 16 pinch pieces - each one and a quarter inch thick for smaller buns. Place the buns approximately 1/2 inch apart so they are not touching but are close to one another and leave to rise at room temperature for 75 to 90 minutes (covered) or until the pieces have grown into one another and have nearly doubled in size. You can put them in the refrigerator for up to two days pulling the pans out of the refrigerator 3 to 4 hours before baking to allow the dough to prove. 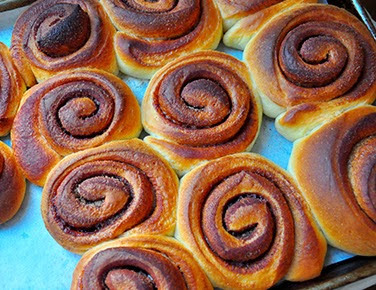 Preheat the oven to 350 with the oven rack on the middle shelf and bake cinnamon buns 20-30 minutes or until golden brown. Cool the buns in the pan about 10 minutes. Sift 4 cups of powdered sugar into a bowl. Add 1 teaspoon of lemon or orange extract and 6 tablespoons two 1/2 cup of warm milk, briskly whisking until all the sugar is dissolved. Add the milk slowly and only as much as is needed to make a thick smooth paste. When the buns have cooled but are still warm, streak the glaze over them by dipping the tines of a fork or a whisk into the glaze and waving over the tops. Then streak white fondant glaze across the tops, while the buns are warm but not too hot. Remove the buns from the pans and place on a cooling rack. Can't wait to taste these delicious looking sinful cinnamon buns. I'll take three please. Feel free to serve with a cup of tea. WhatsApp 2019 is a free messaging app available for all android iPhone, smartphones and other.